153. Circular motion into alternating rectilinear motion. The studs on the rotating disk strike the projection on the under side of the horizontal bar, moving it one direction. 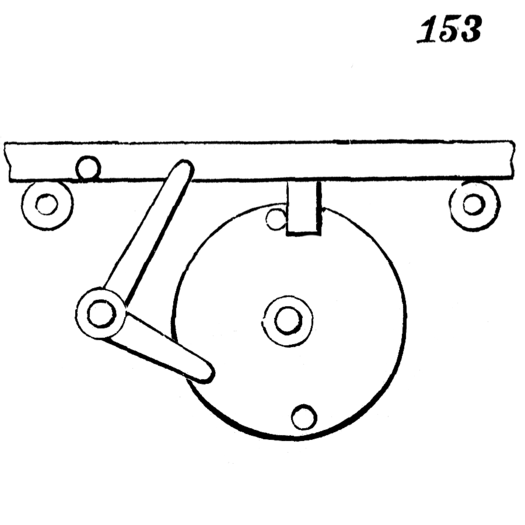 The return motion is given by means of the bell-crank or elbow-lever, one arm of which is operated upon by the next stud, and the other strikes the stud on the front of the horizontal bar.